Doing so for digital distribution, on the other hand, has no real upper limit. I’ve released ebooks containing over a million words. The only constraints have to do not with creating such a book, but with marketing it — do you really want to sell your entire life’s work in a single volume for $9.99? Maybe you do. Maybe you don’t. But the point is, if you want to you can. Most likely these files exist on your computer as Word documents or some other word-processing format — or in a page-layout format like InDesign or Quark. What you need to do to create a compilation is to create a new file for your box set, and then pull each of the component pieces in — preferably in order. Make sure that the cursor is where the new file — book, article, whatever — is supposed to go, then import. In Word, you do this using the Insert>File… menu item. Most other apps have some similar sort of command — if not, open the file, copy the part of the file you want, and then paste it into the new compilation. Now, once you’ve got all of your raw material in one place, don’t just run off to convert into ebook form! There are almost certainly inconsistencies and extra material that you are going to need to clean up. Are section titles styled as Heading 1 in one title, while chapter titles are styled that way in another? Are style names used consistently throughout, or is the body text set in Normal sometimes and Body-Text others? Are images and captions handled differently in different places? Do you need to renumber notes or figure numbers? Well, remember what I said about arduous? This can be especially tough if you’re working with multiple authors. Breathe. Believe me, I know your pain. Go through and make sure that the new volume actually looks like a single volume and not the contents of a rummage-sale grab-bag. Once you’ve got your omnibus rolling, now you can go through the ebook conversion process. Remember me showing you how you can turn any ePub file into a ZIP archive, then open it up? Yup. That’s the easy way. Note: Linux users are usually pretty savvy and don’t need instructions on how to manipulate files. As for iOS and Android users… Well, opening up and editing an ebook on a tablet or phone isn’t yet terribly practical. It can be done, but it isn’t fun, so I don’t recommend it. Voilà! You’ve got your files right where you want them, ready to import. So if you don’t want to dissect your ebook file (it won’t feel a thing, I promise), you can also use the File>Save as… command. First you have to select the file you want to save — whether it’s a chapter (an XHTML file), a stylesheet (a CSS file), an image file (a JPEG or PNG file) or whatever. I select Save as… from the File menu, and save the file to a folder where I can find it. You can select and save multiple files. I tend to save different kinds of files (pages, stylesheets, images, etc.) to separate sub-folders, just to keep them straight. This is the reverse of the previous step, obviously! Navigate to the folder with the file(s) you’re planning to add, select the file(s), click the Open button, and now that file from your old book shows up in your new one! Once you’ve imported everything you want, and all of the files are in your compilation ebook, look at the order — in Sigil or Calibre, the file list shows the XHTML files in the order that they’ll appear to a reader. [vii] If you need to rearrange the order — if you want to shift all of the pages of endnotes, for example, — just drag the file down the list to where it wants to be. Once you’ve pulled the new compilation ebook together, PROOF IT. Check it in a variety of ereaders and make sure that it looks the way you want it to look. If it doesn’t, go through the editing process or repeat the steps above. Then, once it looks the way you want it, validate it. If it passes validation, congratulations! 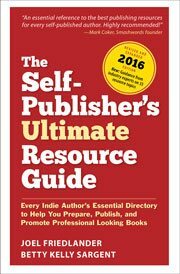 You’re ready to publish! Next time, I’ll discuss two (related) ebook choices I get asked about a lot: ePub2 vs. ePub3 and reflowable vs. fixed-format. [i] Did you know that J.R.R. Tolkien’s original plan was to publish the entire Lord of the Rings — all 450,000 words of it — as a single volume? That would have worked out to somewhere around 1300 pages. Uh. No. I’m very happy that his publisher convinced him to split it into a trilogy! [ii] There should be one for the complete volume — and it should include the copyrights of the component pieces. But this is a new work: it needs its own copyright! [iii] Um. Actually, I’d just get rid of these and create one once you convert to an ebook. If you’ve properly styled everything, then that should happen painlessly, and will be quicker than hand linking. [iv] I usually recommend my clients ditch these as well — because the search function kind of handles this. But some folks like their indices. Just know that the page numbers will be meaningless, and we’ll have to hyperlink every instance by hand. Eesh. [v] In the examples, I’m going to be using Sigil. [vi] I’ve mentioned this many times, but make sure the file name has no spaces in it — use hyphens or underscores to break up the words. [vii] If you’re using a different editing solution, the order is laid out in the OPF file as part of what’s called the spine. Change the order in the spine, and the chapter will display in the appropriate order.